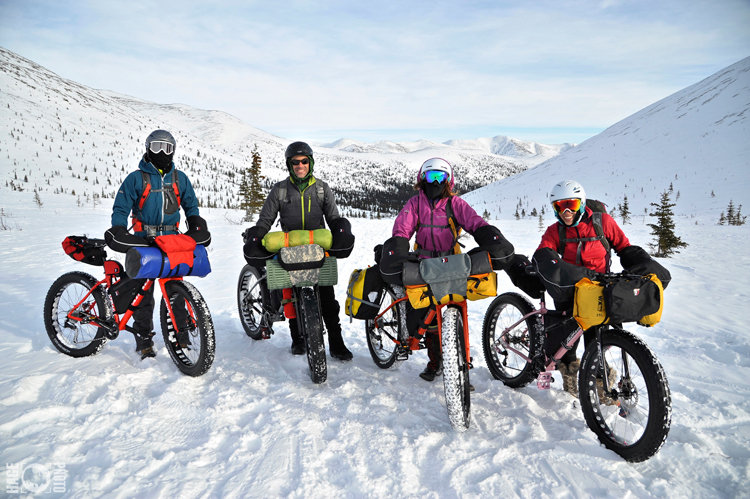 Even though fat-tire snow bikes have become increasingly popular in Alaska, their cartoonish proportions still garner quizzical looks from the locals. The six of us had created an impressive yard sale while gearing up for a weeklong tour at the Wickersham Dome Trailhead. 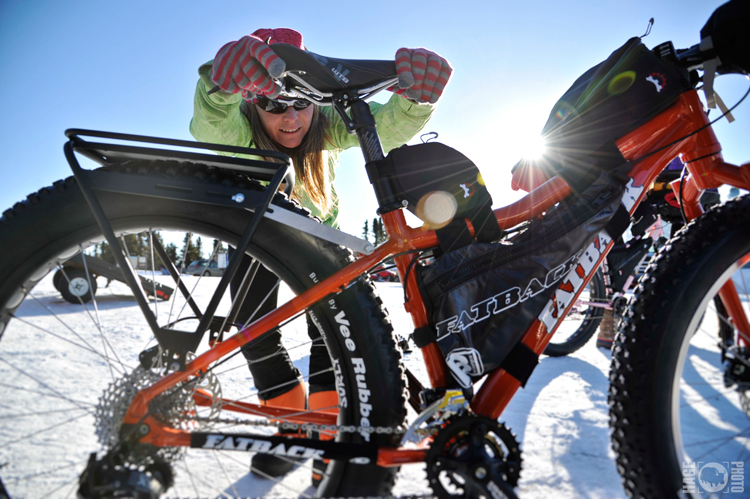 A handful of Carhartt-clad dog mushers watched in amusement as they hooked up their teams. The pups where also distracted as we put together the puzzle of frame, seat and handle-bar bags that would carry our supplies (four bottles of spirits and a box of wine) on our ride. With everyone eventually in the saddle, we rolled onto the skinny trail that headed into the scraggly forest of black spruce. Before us was a three-foot-wide ribbon of packed snow that cut across the rolling hills to the horizon. Before week’s end, we would close a hundred-mile loop back to this spot. Rather than the primo singletrack we all seek out, this was primo crisp snowtrack. Last winter we shot a project for the apparel brand Smartwool that had a unique twist to it. 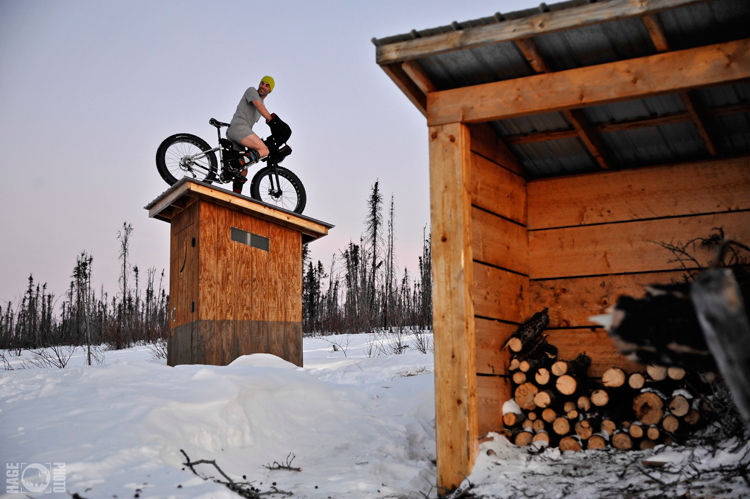 We would base the active lifestyle shoot on a week-long hut-to-hut snow biking trip in Alaska’s Arctic. 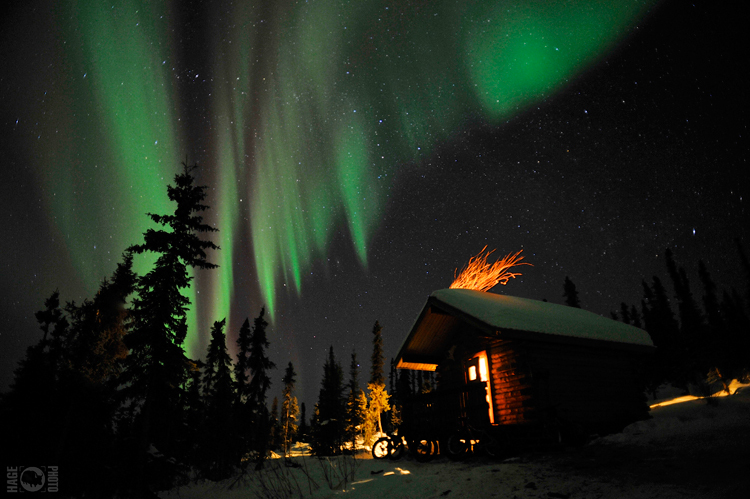 Just north of Fairbanks, Matt’s hometown, in the White Mountains National Recreation Area is a network of log cabins primarily used by local dog mushers. 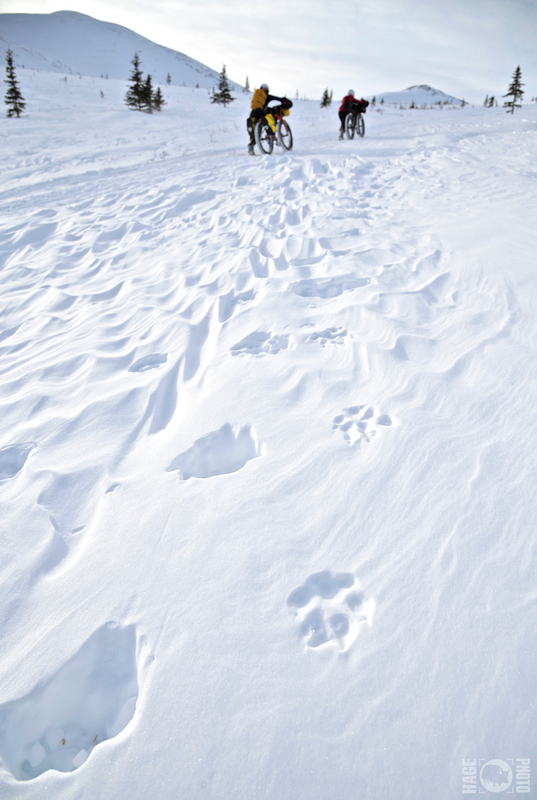 The mushers and travelers on snow mobiles also keep the trails packed down, making perfect conditions for riding the fat-tired bikes. 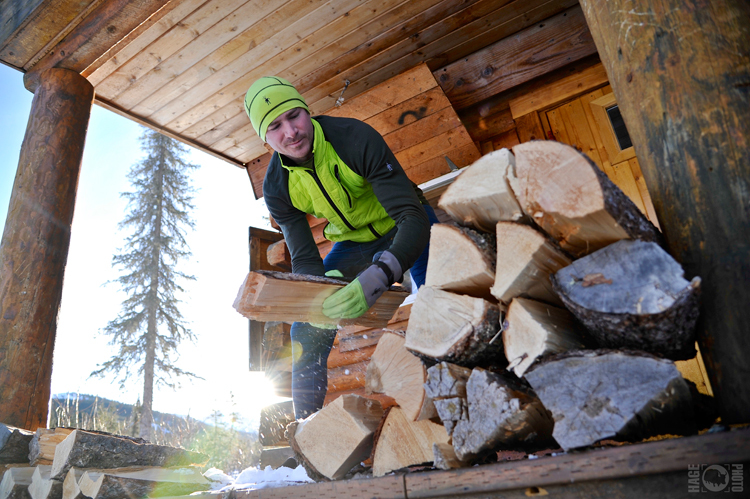 We had had a couple meetings with Smartwool’s creative director in Steamboat, Colorado and discussed the brand’s desire to showcase their new apparel line out of the ordinary winter activities. 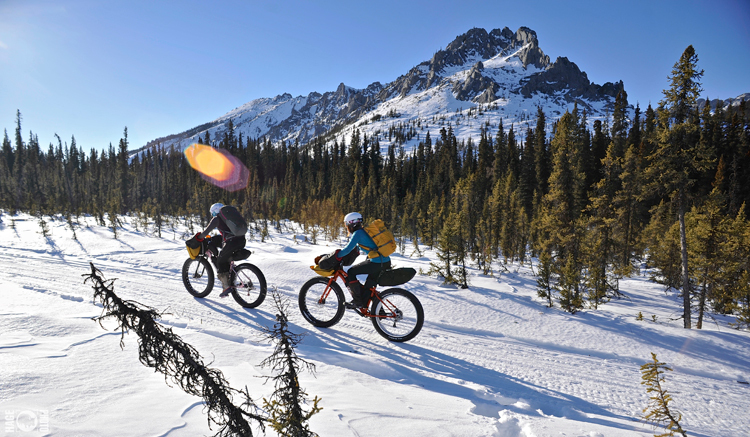 They we’re pretty stoked when we outlined what we had in mind for the White Mountain ride. For this project, we hand picked a crew of hardy friends from Alaska and around the country to come up for this one of a kind adventure. 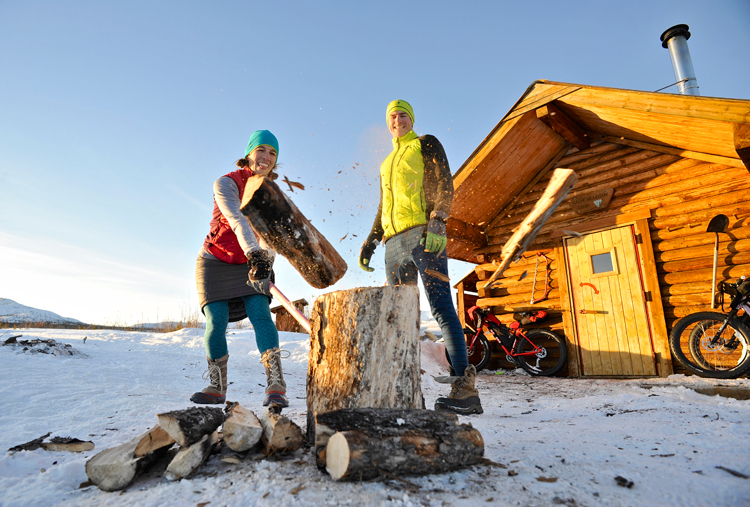 A local shop that makes ‘fat’ bikes set us all up, ready to ride. 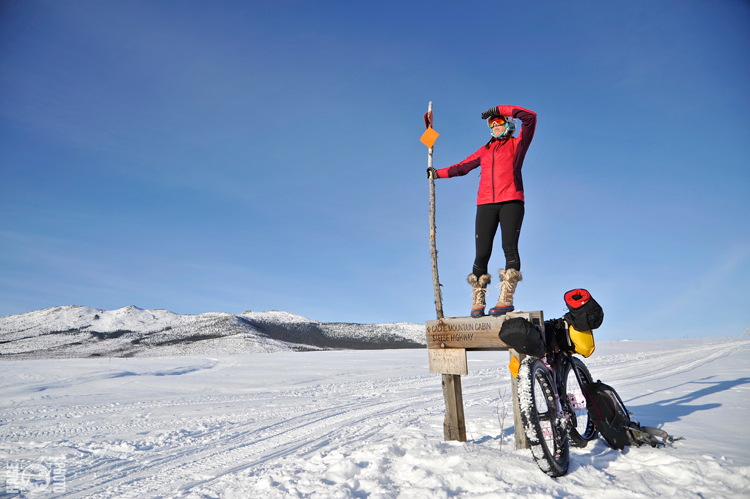 After traveling up to Fairbanks, and then an hour further, we packed the weeks worth of gear, groceries and spirits on the bikes and hit the trail. 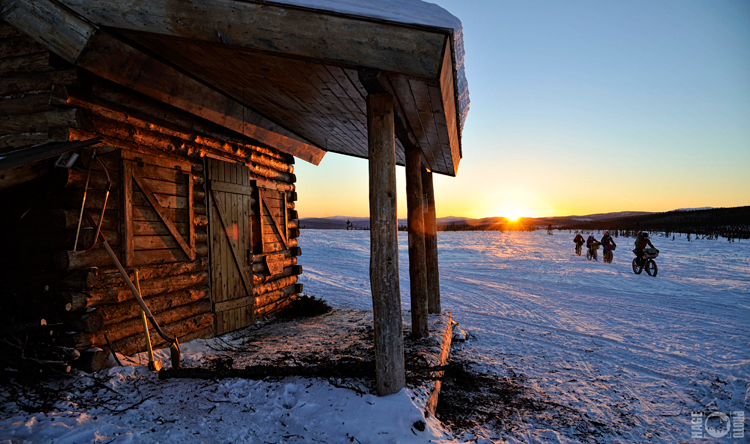 We’d ride about 20-miles each day, ending at a rustic log cabin for the night. Every aspect of the trip was a photoshoot; group dinners, wood chopping contests, and cocktail hour. 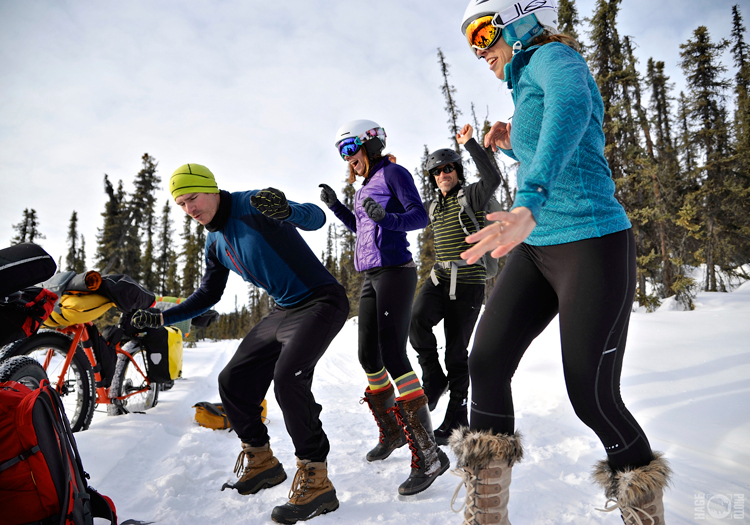 Temperatures hovered around ten below during the days and the crew would stop for five minute dance parties to warm up on the trail. 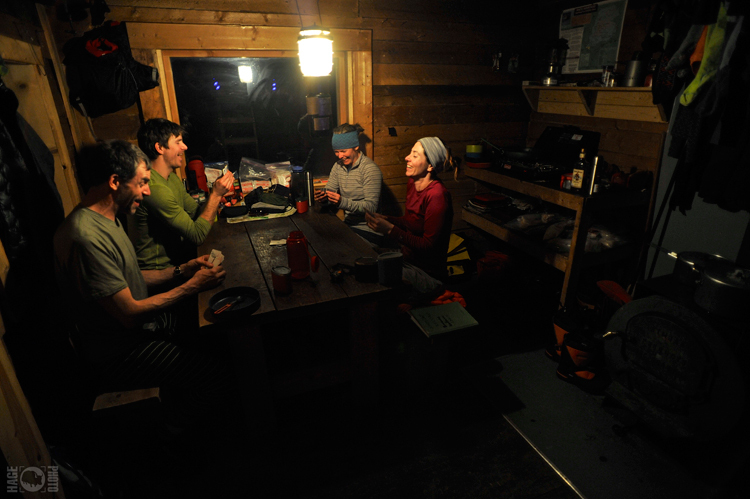 The ‘having fun’ nature of the crew translated well to the work we produced and fits the Smartwool brand perfectly. Needless to say it’s been a big hit with the client, leading much of their winter promos right now. 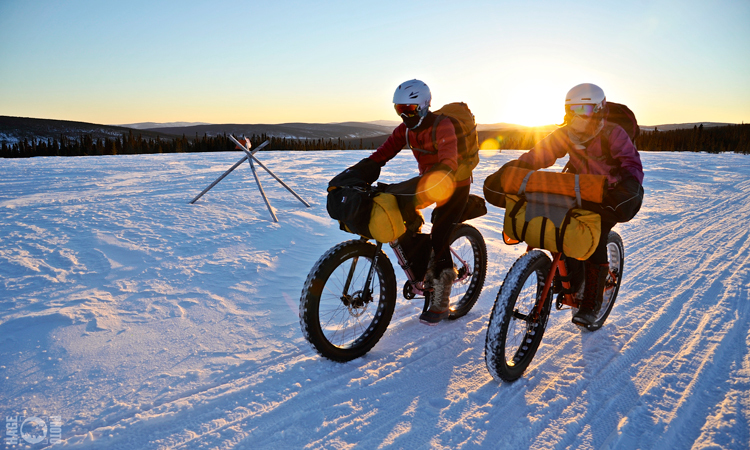 We’d like to thank Fat Back Bikes, Revelate Designs, Adventure Appetites and Explore Fairbanks for making this adventure in the Arctic possible.